Honda’s CBR650F was well-received upon launch in 2015 and managed to pull through for three years when it received an update. However, with an increased gap between the demand and supply of the motorcycle, Honda had to pull it off the shelves before it was appreciated fully. 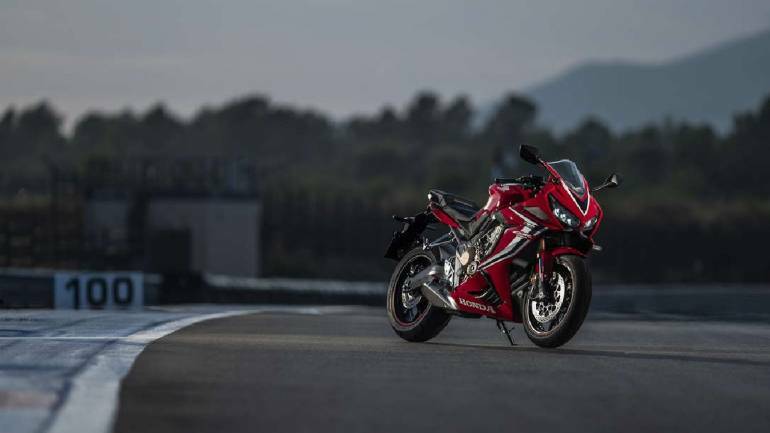 Honda does not intend to leave its place empty though and replacing it is the latest CBR650R. The all-new sports-tourer is slated for launch in India soon. The Honda CBR650F was a sports-tourer and the new gen CBR650R continues with that. However, the bike has been upgraded to be more sporty, both in ergonomics as well as performance. The CBR 650R has a higher redline at 12,000 rpm and makes around 8PS more. That brings it to a total power output of 95PS and 64 Nm of torque. Shedding the mono headlamp, some weight, the CBR650R is armed with dual-LED headlights, lowered clip-on handlebars, and slightly more rear set footpegs. It also gets Showa’s 41mm SFF (Separate Function Forks) and a 10-step preload adjustable rear monoshock.While the CBR650F was the first bike to earn this title, it is expected that the CBR650R will also carry the same tag of Rs 8 lakhs (ex-showroom). It will rival the likes of Kawasaki’s upcoming ZX-6R, the Benelli TNT 600i along with Triumph’s 765cc lineup, among others.